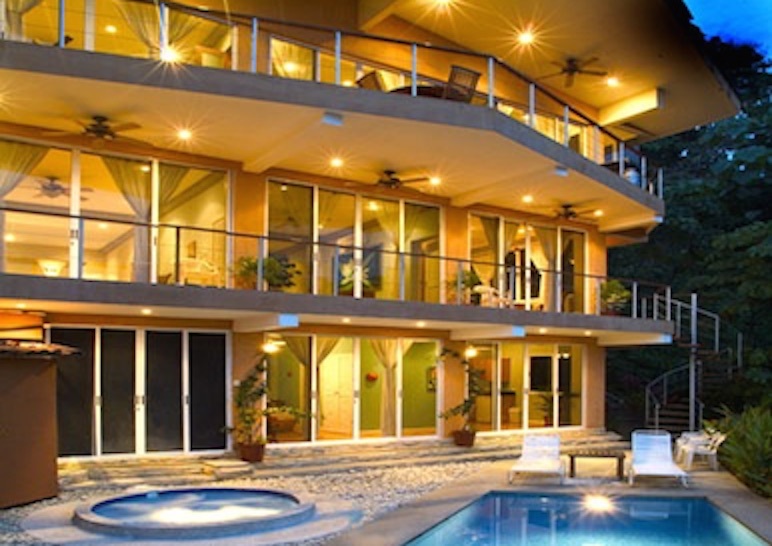 Casa Alegria is a spacious and secluded ocean view villa located just steps away from the huge Manuel Antonio beach. 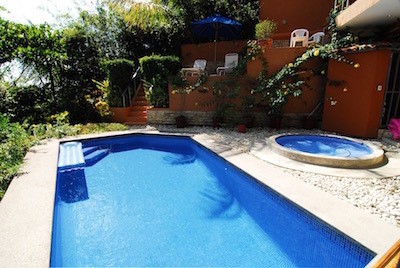 With an easy walk down to the beach, Casa Alegria is one of the closest homes to the beach and national park in town (there are only 6 homes in town that are within a 20 minute walk to the beach and I manage 3 of them). 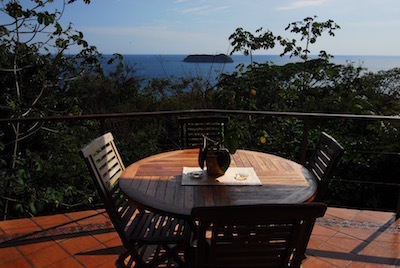 The villa is fully air conditioned and beautifully decorated in a Balinese style and is one of the closest homes to the beach and National Park in Manuel Antonio. The balconies overlook the beautiful private pool and garden area, complete with your own hot tub which is fantastic for an evening soak after a day at the beach. 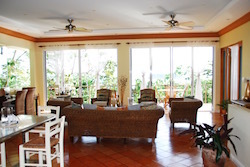 Outdoor covered balconies offer you one of the closest views of the Pacific ocean. The house is designed to maximize the feeling of light and air, with floor to ceiling windows on each level facing the view of the ocean, lush rainforest, and stunning Pacific sunsets. Both of the upper levels have large balconies spanning the length of the house, which are perfect for enjoying dinner or drinks in the warm evening air, or even better - a massage from one of our many accomplished spa therapists. 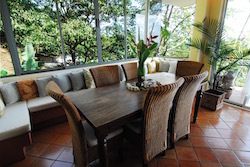 The balconies are also a fantastic spot for watching the abundant wildlife in the rainforest surrounding the house, and monkeys, sloths and tropical birds can be viewed without leaving your chair. Sitting area overlooks the large pool and hot tub. 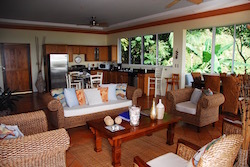 This level also have a queen size bedroom with small kitchenette just outside the pool area so you can keep snacks and refreshments at hand close to the pool.